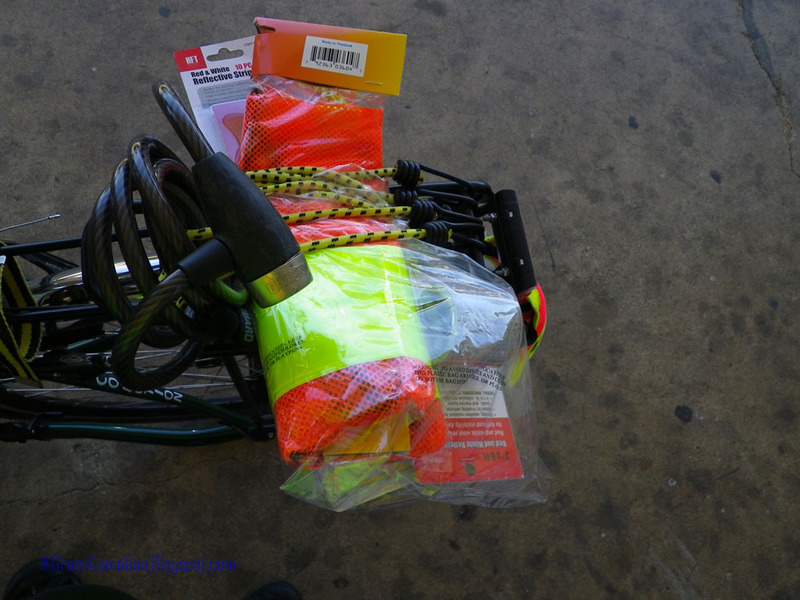 On my way back from the Irving Bike Fest, a couple of weeks ago, I stopped by Harbor Freight to pick up some reflective tape and Hi-Vis vests. 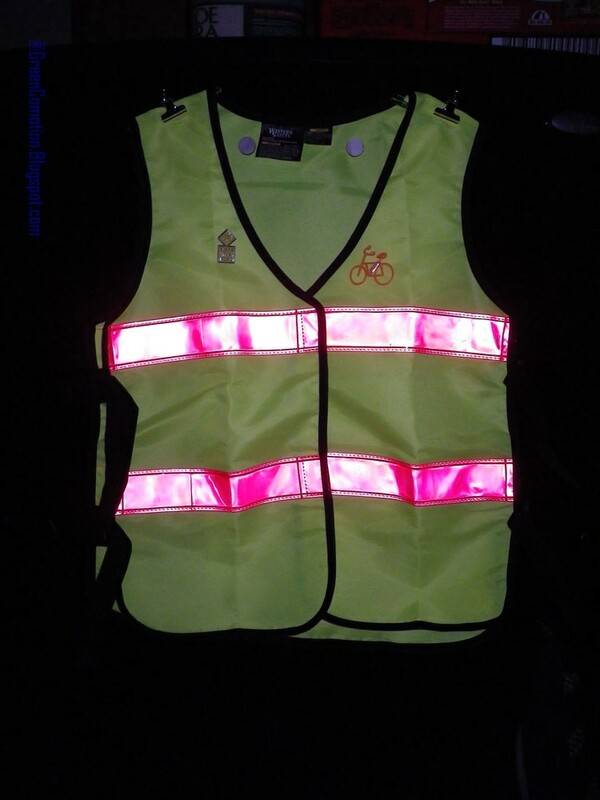 If you are in the market for Hi-Vis Night-Reflective (HVNR) vests, Harbor Freight has some great deals on them ($7, approx.). I bought two HVNR vests, one in bright green and the other in super-bright orange. The orange one is more suitable for hotter climates, which we have plenty of in Dallas. 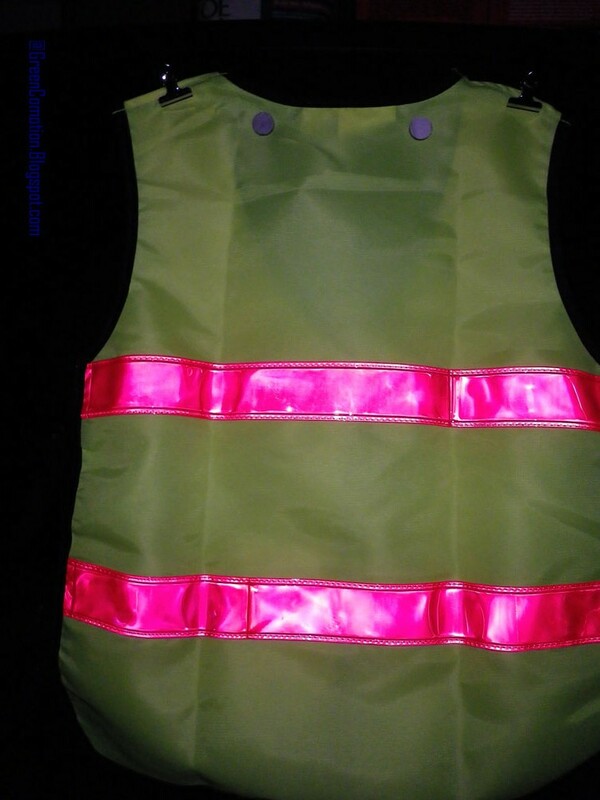 Pictured below is the green HVNR vest, photographed with the lights turned-off! I am glad to notice the reflective strips are going their job! The back of the green HVNR vest. I love those reflective strips! 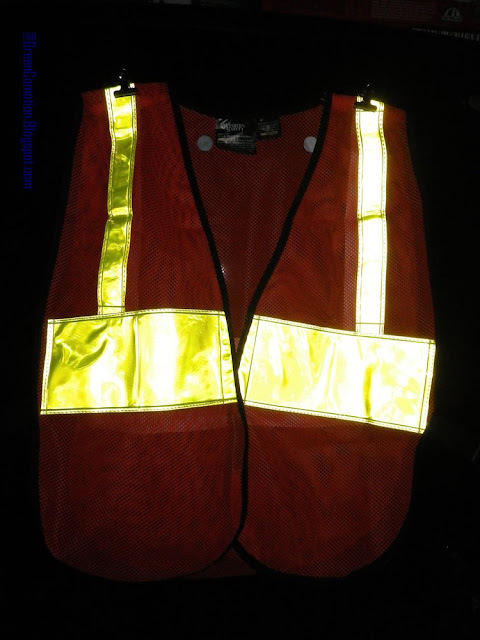 And, here is the orange HVNR vest! The gauzy material is cooler, but it doesn't fit as snugly as the green one. The green HVNR has synch-able side-release buckles (like the ones in backpacks). I think the green HVNR is a better design from the POV of getting the vest to fit snugly. 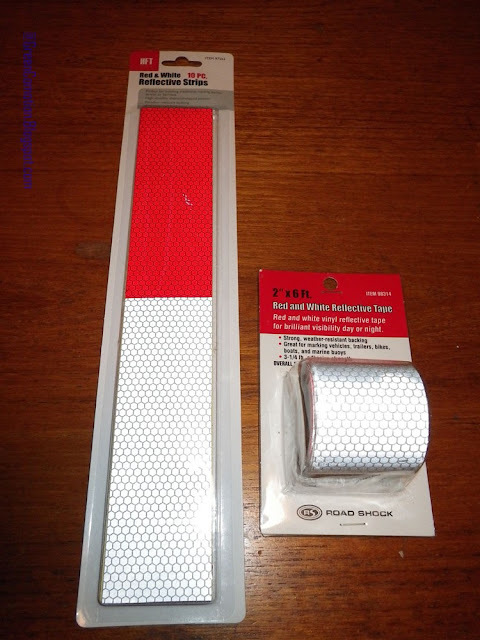 While at Harbor Freight, I also bought some inexpensive reflective tape. They come in two colors, red and silver. One is a package of 10 strips and the other one is a package of 6 feet of the same combo of colors. These will be used to replace the pieces of old reflective tape on my helmet. As cyclists, we don't have to fear this do we? Story of Brahma - The Foldin' Bike That Can! What's in your Water Bottle Cage? Pictures from Ride to Dallas Earth Day!